Her Serene Excellency Sovereign Lady Persephone, (née Persida Cenko), was born on September 7th, 1987 in Përmet, Albania. Persephone’s formative years were spent with her loving parents and older brother Georgios. Persephone lived in Albania until the age of 15 when she moved with her family to her father’s ancestral homeland of Greece. After finishing her public education she went on to study and obtain a degree in Environmental Engineering from the Technological Educational Institute of Western Macedonia in Kozani, Greece. After finishing her degree she worked for the school in the fields of water and air pollution control. In 2010 Persephone immigrated to the United States at the age of 23 only to meet her future husband four years later at the Greek Orthodox Cathedral of Saint George in Hartford, Connecticut. Persephone is a devout Orthodox Christian, a dedicated wife and an avid supporter of the work of her husband. 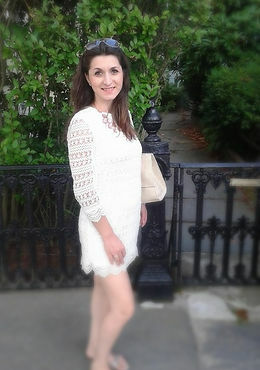 Her Serene Excellency speaks Albanian, Greek, Italian and English and has interests in the fields of human rights, the environment and the arts. She has a keen talent for poetry, painting and drawing.